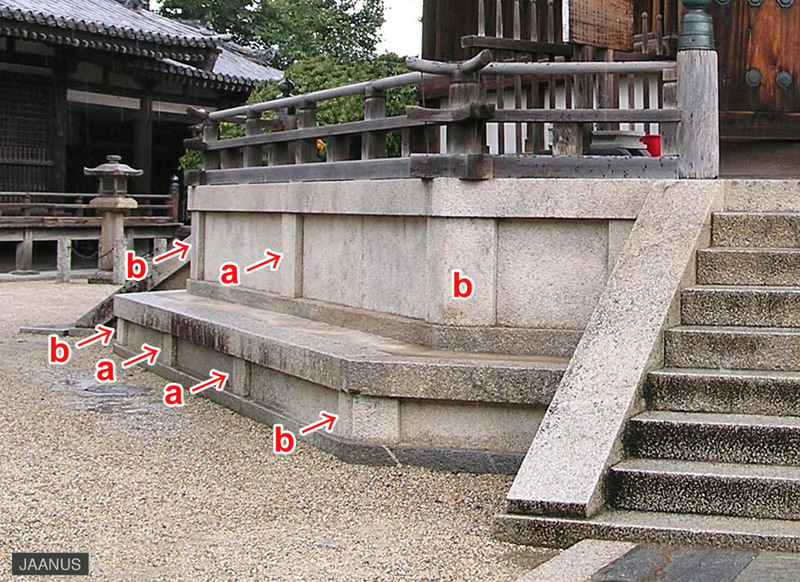 A wide rectangular stone strut about 2/3 the width of the stone panels *hame-ishi 羽目石, on a formal podium*danjouzumi 壇上積. They are used at the corners and at standard intervals on the sides between the corners and steps. They add stability to the stone panels. Tsuka-ishi rest on the horizontal base stones *jifuku-ishi 地覆石, and are beneath the curbstones *katsura-ishi 葛石. Tsuka-ishi are one of the four parts that compose the formal podium.